Searching the web for specific information is way easier than pulling out a giant encyclopedia book out off the shelf. For that, we have to be thankful. These days, having the internet is a blessing in more ways than one. But every once in a while a web search can become quite daunting. 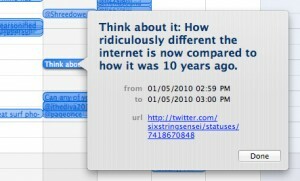 This was the case when I decided to look for a free service to back up my Twitter tweets. I found many services available, but many of them are only good if you use the paid version. There may be more out there, but I want to share with you one that I found to be particularly useful and original. It’s called Twistory, and you can find it at twistory.net. Essentially, it’s a service that connects to your Twitter account and downloads your tweets so that you can keep them on your computer. Keep in mind that most services out there will backup your tweets to an online server. Oftentimes, if you want to download them to your computer it involves a fee. 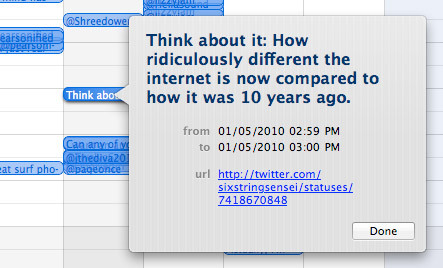 Not only will twistory.net download your tweets to your computer for free, but it will do it automatically, everyday, and to a calendar application. What does this mean? Well, it means your tweets will be backed up automatically and perfectly organized by the date and time they were posted on Twitter. 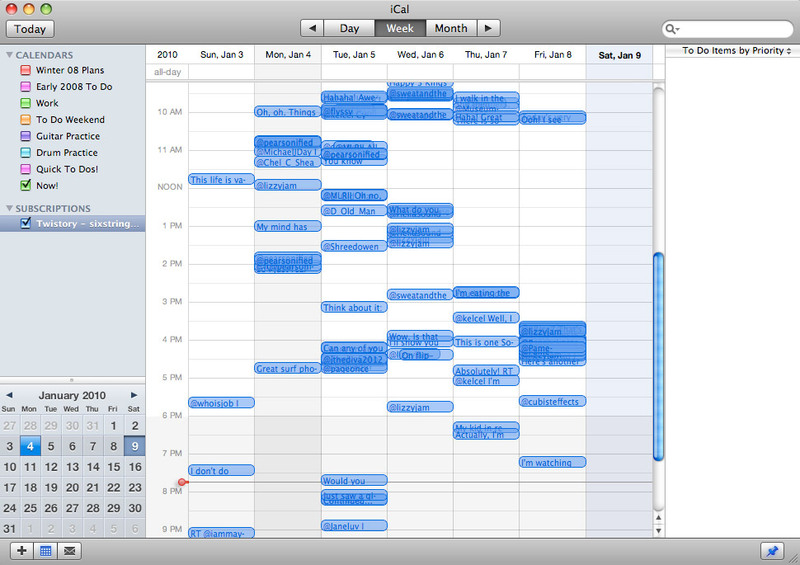 I work on MAC and I use iCal, but twistory also supports Google Calendar, Thunderbird, and other calendar applications that support webcal or iCalendar. 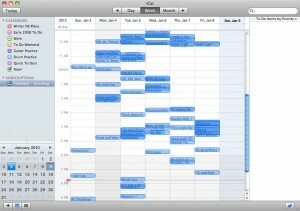 See the photo on this post to see an example of how my iCal calendar looks this week. Each of those blue bubbles represents a tweet. Clicking on any of the tweets brings it up in the application. Not only that, but it shows you the date and time it was posted on Twitter. (See photo 2). The service is not brand new. I believe it has been out since April 2008. Please keep in mind, I’m not affiliated to twistory.net. I don’t endorse them, nor am I on their payroll. Having said that, who knows if 2 months from now the service goes to crap? As of this writing I can happily say I’m very impressed with the service. Knowing that my tweets are safe and nicely organized makes me feel all fuzzy inside.